Fury FC kicks off the season in Charleston versus the Battery on March 9 for the first of three matches on the road. The squad heads home to battle Nashville SC as footy returns to TD Place on Saturday, April 9. Fury fans will get their first look at new USL teams Loudon United FC (April 13), Memphis 901 FC (June 15), Birmingham Legion FC (August 2), and Hartford Athletic (September 22). Nikola Popovic's former club Swope Park also makes their inaugural trip to the capital, as the side slid over the league's Eastern Conference this season. 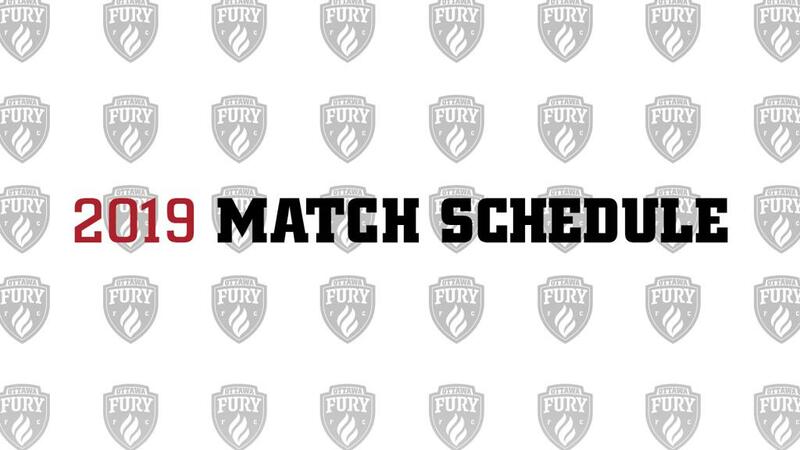 Click here to view Fury FC's full 2019 schedule. Download printable version of our home schedule and full schedule (times are not yet confirmed). Want to experience every Fury FC match in 2019? Check out our season-seat membership program, Fury FC Family, with exclusive benefits and perks. Or enjoy soccer at TD Place your way with our new monthly program, Fury+. Following the Play-In Round, the two teams to advance will be placed into the main bracket for the Conference Quarterfinals, with the lower remaining seed facing the conference’s No. 1 seed and the higher remaining seed facing the No. 2 seed. The single-elimination format will then continue for the following four weekends in a fixed-bracket format with the higher seed in each matchup serving as host through the Eastern and Western Conference Finals. The 2019 USL Cup will be held between November 14-18, 2019 and be hosted by the conference champion with the better regular-season record.